For Christmas this past year, I decided to make a set of 6 hats that would all go together yet each one be unique and different. It was because of this that I found this Racing Arrows Hat on Ravelry. This was the perfect hat to tie in to the set and I loved working the pattern up. It was fairly easy to do if you are familiar with working the front post dc (fpdc), and the color patterning is very visually striking so people are always wondering "how long did it take you to make that!?!" I have plans to make many more of these hats! 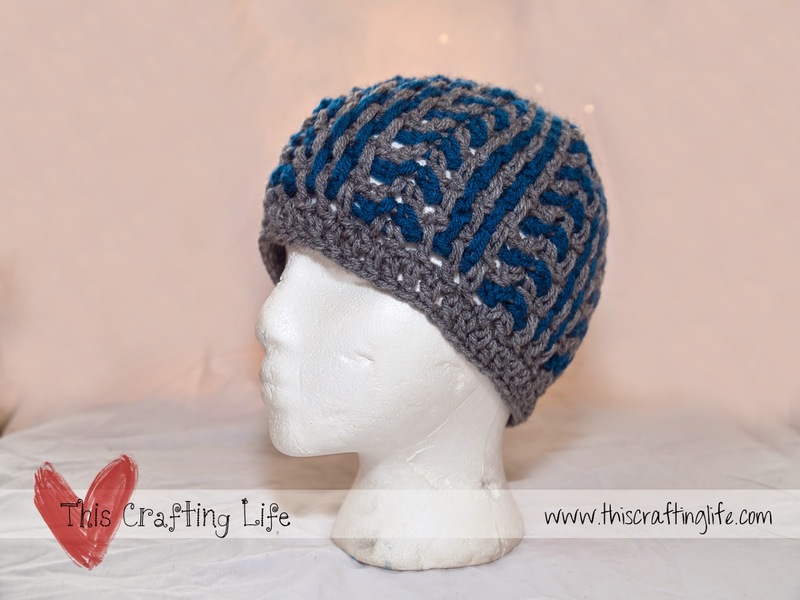 Overall, an easy to work fun hat with great detail! This hat turned out great!!!! Beautiful work!